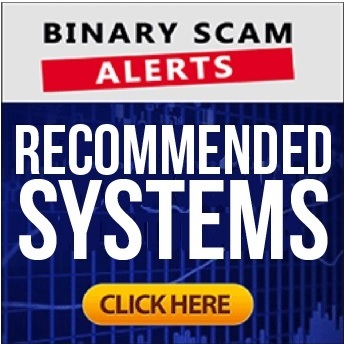 Binary Scam Alerts » Scam Reviews » Auto Trading Hub Review, Avoid The Auto Trading Hub SCAM! Welcome to our Auto Trading Hub review and SCAM investigation. If you received a message or read a review about this new investment platform, then we must warn you that the Auto Trading Hub scam software is being promoted right now by fake review sites and a very unethical affiliate network. We know that there are some very convincing YouTube videos out there who will speak praise about this “new and profitable” automated trading app, but the complaints we received prove the opposite. So what does all of this mean? Well, the game is afoot and the new and highly publicized launch of the Auto Trading Hub SCAM is getting viral by the minute. But here’s the interesting thing, when we started digging in and researching about what the Auto Trading Hub system really is, we weren’t able to fully grasp what we are being offered. As we progress and explain in our Auto Trading Hub review, this so-called investment platform is not really anything. Its true that sometimes “less is more”, but unfortunately we are not dealing with art. When you signup for a trading software you expect to see certain things like asset types, ITM ratio, and amount of money generated on a daily or weekly basis. Auto Trading Hub fails across the board on all three key elements, and that is why we blacklisted this bogus app. If you think we are a bit too harsh then you should continue reading our Auto Trading Hub review before you invest and lose all your money. We know our assessment to be true because we actually invested and lost all our money despite the fact that we were allocated a regulated broker. The end result is the same, you are being lied to and manipulated so that fake review sites can get their affiliate commissions. OK, so here is the registration page where it says you will gain access to the “most advanced trading algorithm” (if you believe that). And here is where they have the bogus signal feed. There is really nothing here besides some random parameters alternating in a java script table. The signals are not back tested and there is no legal or authorized third party entity which can verify these signals. In short, its not real and you are being cheated by crafty con artists. What is The Auto Trading Hub Scam and How Does It Work? Auto Trading Hub is advertised as a kind of system which has a 14 strategy combination algorithm. They talk about a feature named 3-way analysis, which is a kind of automated risk management protocol. They claim that only signals with the “highest probability” are generated, hence the high profit margins. That is the sales pitch, but we know better! Auto Trading Hub Review, Losing Algorithm Exposed! Ready, set, lose! Yep, get ready to lose you money real fast and without any way to get it back. The liars behind the cheating Auto Trading Hub software would have you believe they developed a state of the art software. However, in reality what we are looking at here is an over glamorized version of a cloned software which is designed to execute losing trades regardless of what CFD broker is allocated to you (regulated or not). So yes, you will have a segregated account, and the broker will not steal your credit card details but the end result is the same as always. The affiliate marketers and promoters get their commission checks and you get ripped off. So stay away and don’t say we didn’t warn you. Get ready to part with at least $250, and that money will be charged at the point of sale by the broker assigned to you. We know that it may not seem like a lot of money, but for some people its a significant amount so don’t risk what you can’t afford to lose regardless whatever system you choose. We have see multiple fake Auto Trading Hub reviews, and we know exactly who these websites belong to and why they are doing it so don’t signup and don’t believe their lies. Proceed with extreme caution! We are advising you in the strongest possible way to avoid this thieving piece of software and seek an alternative way to generate passive income. If you do choose to invest don’t be surprised if you turn out to be the next victim so don’t complain. We are constantly searching the internet for genuine trading apps that deliver consistently as promised. We managed to put together a short yet reputable list of trading apps, these are all listed in our recommended section so check it out.